Last week I wrote about preordering Core Set 2019, and that’s a departure for me. I’ve come around on preorders, as opposed to the years I spent never preordering anything ever. And that got me thinking: What else has changed since I got into this? There’s more than a few things I used to take for granted, that are now obsolete concepts, and since I’m a big fan of a level playing field, I’m going to share them with you now. New Rule #1: There’s money to be made in preorders. Granted, I’ve tried to document my shifting perspective on this. Ixalan was a real eye-opener for me, especially with Vraska’s Contempt and Search for Azcanta. Those could have been had much much cheaper, and I’ve tried to be aware of flexible removal (other cases include Hero’s Downfall and Abrupt Decay) as well as just raw power, like Search or more recently, Karn. Wow. Three bucks at the start? 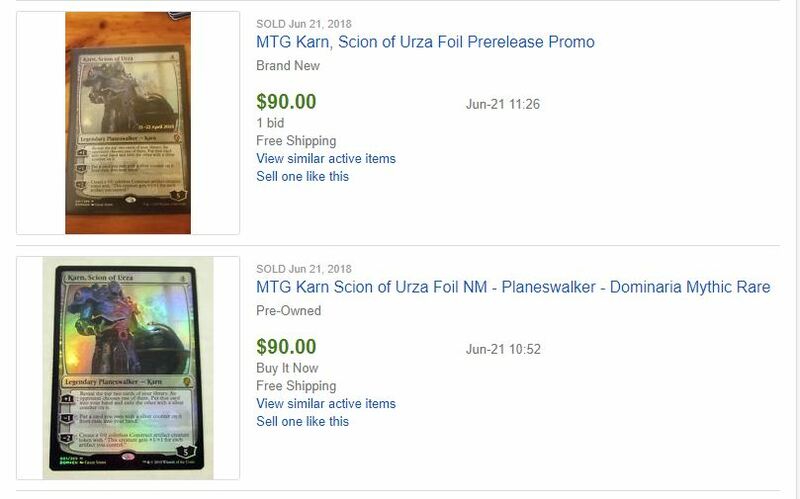 I was skeptical of Karn, Scion of Urza, but I’m pretty sure now is the time to buy a playset if you’re going to be playing Standard in the next year. We are at the max for supply, and the only outlet for more copies is going to be the Challenger decks of next spring. 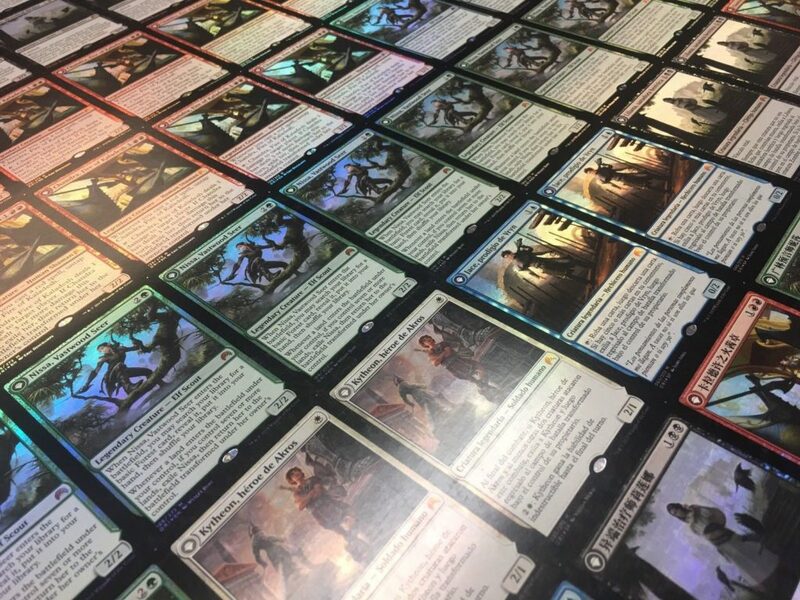 Karn has dropped to about $40 as his initial rush of $60 has passed, but now that we’re done opening Dominaria, all it’s going to take is a new adoption in Modern, or spiking a tournament, or just being one of the top Standard cards. 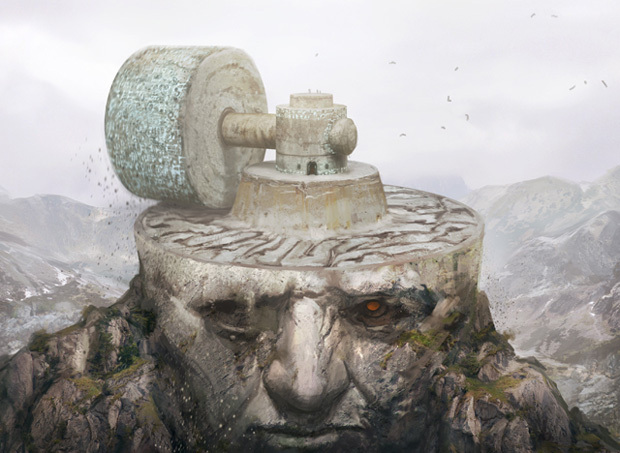 Mono-red is going to lose a lot at rotation in three months, and while I can’t recommend this as a spec for flipping, Karn is going to go back up in price, so get yours now if you need him. Teferi, Hero of Dominaria is in the same boat. 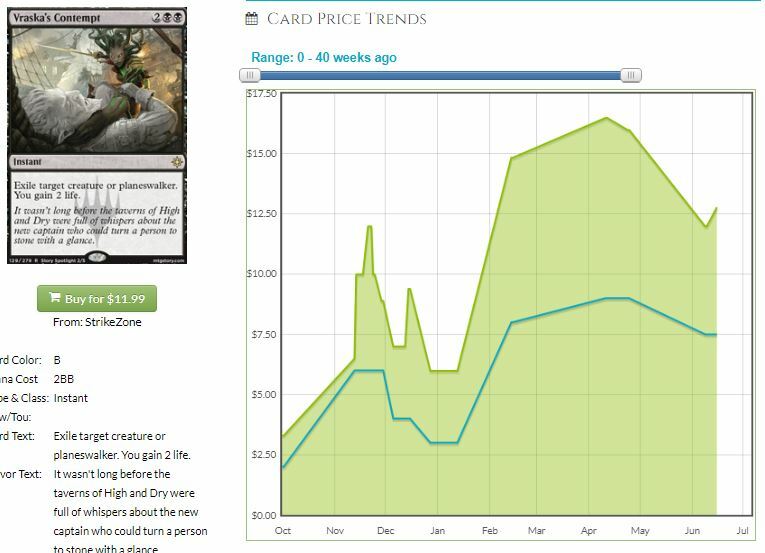 New Rule #2: TCG Mid is out, TCG Market is the new metric. For years upon years, TCG Mid was the standard price. We didn’t want to deal with those who underpriced their cards, or overpriced them. Now we are using something much more robust: the actual selling price! New Rule #3: PucaTrade is over, get thyself to CardSphere. Looking back, I’ve done a lot of online trading. I moved a ton on Deckbox, including trading for an iPad. I wrote a series of articles for several months titled ‘PucaPicks’ because I was that deep in PucaTrade, including acquiring a Gaea’s Cradle there for some silly number of points. I’m sad to see Puca decline, they even invited me over for EDH once, but the closed system and the inability to have a stable value of points ended up causing a spiral. There’s one user who’s amassed more than two million points…out of optimism? Now I’m on CardSphere, the best of them all. If you need some convincing, we’ve done podcast interviews with them, I’ve written about them at least twice, and most important, I’m sending and receiving cards as fast as I can. The ability to set your price, and set price limits, has proven incredibly powerful. If you don’t want to mess with sending cards, just add some cash, and pick up cards at 60-70% of retail. New Rule #4: Transform cards can be printed whenever they want. When double-faced cards first came along In Innistrad, there was one per pack. It was that way for Dark Ascension as well, and at the time, we were told that the difficulties of printing cards in large quantities meant that DFCs were going to be in every pack or in none. Oh do I want an uncut foil sheet of anything Magic! Fast forward to Magic Origins, and we get five transforming cards out of the whole set. This was done by printing sheets of the five ‘walkers in all the languages side by side, then reallocating them somehow. Then in Ixalan, we got ten transforming cards, which were in there as regular rares. Not one-per-pack. Now in Core 2019, we get a single transforming card in Nicol Bolas, the Ravager. I haven’t been able to find an article detailing how these changes have come about, but I know I’ve bought DFCs before with confidence that they can’t be reprinted easily, and clearly that’s no longer the case. New Rule #5: Prerelease foils are worth just as much as regular foils. This is one that took me quite a while to realize, and it irks me greatly that I was so slow to get there. If you started playing during or since Khans of Tarkir in late 2014, this is not a shock to you. Let me explain, and you may find this link helpful. 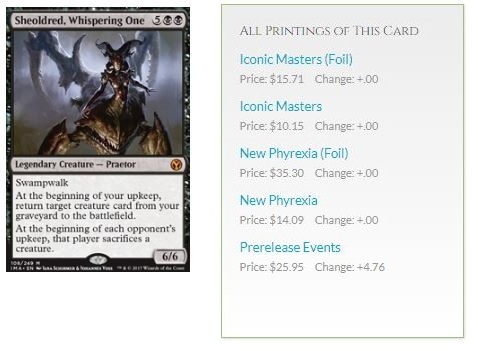 Notice the big gap in price from Prerelease Promo to NPH foil? Prereleases, starting in 1998, gave every player the same card just for showing up, and you weren’t allowed to use that card in your prerelease deck. Seems dumb and counterintuitive now, but that’s where we were. It wasn’t until Return to Ravnica in 2013 that we got the first set of ‘yeah, you can play with this’ prerelease cards, as you’d pick a guild and you’d get a card for that guild. So five promos for those sets, a pattern repeated in Theros block when you’d pick a color and get a known card of that color. Within 90 minutes of each other! Yup, the pack foil and the prerelease promo going for the same price. Notable now is that we might begin to see the prerelease version become more expensive, because that’s the rarest version of a card these days. That correction hasn’t happened yet, but if it starts leaning that way, well, that’s the new rules.